Neither Mark nor I like shopping. 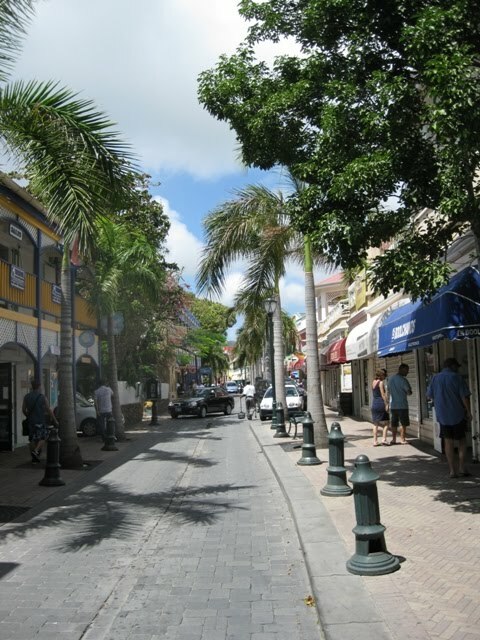 But, I’m the woman, which means I “have” to go shopping more often and during those sprees, I end up in Philipsburg once in a while. 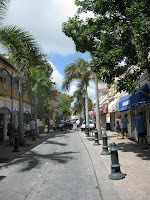 Philipsburg is the capital of Dutch St. Maarten and shopping heaven for cruise ship passengers. Back Street contains the local clothes shops (where I found my wedding dress) and Front Street exists of jewelry store after jewelry store, after souvenir store, after jewelry store. There are literally hundreds of them and ever since we (I) decided to buy wedding rings, I have been dreading the moment of trying to find a suitable ring in this plethora of stores. While running around town for other items one day, I quickly checked out a few and found a great silver ring, elegant, pretty and affordable. 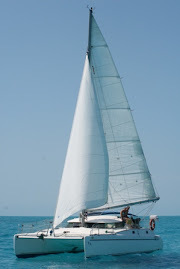 Upon my return to Irie and my excitement about the ring and how easy I found it, Mark’s reaction was: “No silver on the boat!” Silver and a salty environment do not go together and that was that. So, Mark and I marked a date in our calendar to go shopping for rings together. The question was: what were we looking for? Our requirements: something simple, silver color and not too expensive. We are boat people after all and Mark had already indicated he “would never wear it”. After browsing through a few real jewelry stores, checking out the white gold and staggering at the prices, we stumbled across a split store electronics/jewelry. They had an extensive array of silver colored rings to pick from, especially after depleting their sister store and bringing all the items to our store. Our eye fell on very attractive and elegant white gold rings, a matching pair. The price was too high however and after bargaining a bit, the saleswoman carefully steered us away from them and towards another set of rings we had been looking at. These were made of stainless steel and were a better match for us, our lifestyle and our budget. Mark and I did some thinking, really loved the expensive set, but didn’t have an extra $500 lying around (and only one of us was going to wear it anyway), so decided to go for the stainless steel. All that had to happen was bargain the price down a bit and have the rings resized to our respective fingers. We held our hands out and discovered the size of our main ring fingers. An hour later, we were the proud owners of stainless steel wedding rings. The price was right, the material perfect! I've saved this post to read! I didn't like any of the gold or silver rings when I went shopping. I wished there were more stainless steel options 6 years ago - i ended up w/ Titanium for me. I LOVE SS rings! there are several cultures that wear wedding rings on the Right Hand. And Mark's logic is AWESOME!